My door speakers sound more like creaking frogs. Has a replacement been found. Car is a 78 and has the thin oems. Thanks in advance. I've always like using them, too. I've always liked the Crutchfield experience, but which of their products fit the door and original grill? Front door speakers for a 262C is a tough one. My 262C has a pair of older 3.5" speakers on some aluminum spacers that raise it up enough so the magnet clears the window glass but they still fit under the door panel. Fitted by the previous owner so I don't have any other info. I had shallow 4" alpines that barely fit under 240 door panels in the 242 with the original door panels, but when I put the 262C door panels in it they didn't fit. I went to a set of ancient factory speakers that still worked. Good luck! Let us know what you find. 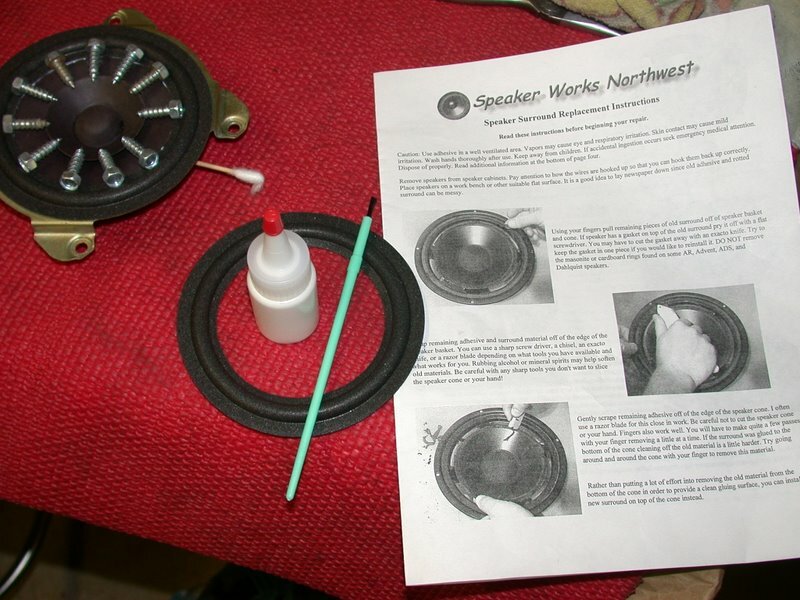 I bought shallow depth 4" coaxial speekers from Crutchfield for the doors. They supplied a braket that slightly raised the speaker and let you use Volvo square grills on them. The speakers I've bought were Kenwood and Infinity brands. My best chance is to have some oem ones re coned. The search goes on. You are gonna have to do a home recone. Maybe you can get one of the hemp cone speaker makers to do it?